-- all packed with moneymaking information you won't want to miss. 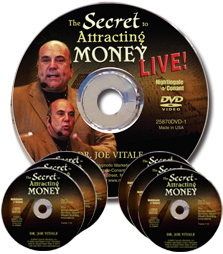 Bestselling author, self-made multimillionaire and The Secret co-star Dr. Joe Vitale shows you how to tap into the awesome force of the Law of Attraction. Experience true freedom for the first time - and much, much more! I'm Joe Vitale, a bottom-line guy with one foot in the metaphysical and the other in the material. And today, I'll introduce you to an unusual secret combining the practical and the spiritual for attracting wealth like a magnet. I'll reveal a source of real-world money-getting techniques you can use immediately, along with a well of deep spiritual insights to free you from whatever's blocking the flow of prosperity in your life. Allow me to give it to you straight: Your potential to attract money and create the abundant life of your dreams isn't determined by your education, past or present circumstances – nor the economy – or even what those sneaky politicians are up to in Washington! Your job won't bring you lasting wealth or happiness either. To claim your abundance, you must awaken to this powerful truth: the secret of attracting money is a NATURAL ability residing within YOU – fully under your control. Don't listen to me because I'm rich! Yes it's true, I starred in The Secret DVD, have written over 30 bestselling books, including Buying Trances, Hypnotic Writing, The Seven Lost Secrets of Success, There's a Customer Born Every Minute, Attract Money Now and my latest, Faith. 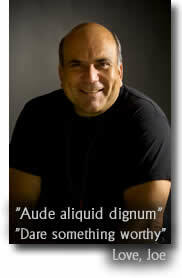 I've authored success programs for Nightingale-Conant, like the Power of Outrageous Marketing and The Missing Secret. I'm the world's only Self-Help musician with billboard ranked CDs, drive a car the envy of Jay Leno –and– have a guitar collection that'd make the curator of the Rock-n-Roll Hall of Fame BLUSH! Still, that's no reason to listen to Joe Vitale. I speak often about my time on the streets – homeless. But I wasn't helpless. I knew I had a burning desire to help people. And I knew I wanted to write, but I didn't know how to get started – and I didn't know anything about attracting money. So I began a relentless pursuit of self-improvement. I read voraciously, devouring every book in the library I thought would help. I discovered audio programs, like ones produced by Nightingale-Conant. I used my library card as a ticket to the secrets of wealth, prosperity and abundant living. If you'll come along for the ride I'll share with you my biggest secrets to attracting money. In fact, I've created a remarkable program designed to do just that. It may be the best work I've produced so far. This program blends the ancient metaphysical secrets of wealth attraction with the modern-day material world of marketing and entrepreneurship – delivering an unstoppable combination GUARANTEED to attract money – fast! And more importantly: How can YOU experience the same and even greater levels of success? Combining the best of both worlds, this is the only in-depth program I've ever produced specifically teaching how to attract money – and it can be YOURS on six jam-packed audio CDs. Each session is a master-class on attracting abundance. Making money in any economic climate – even a flat-out depression – is a snap once this shift takes place. Hint: YOU control it! Can't wait? Want to speed up the process of attracting money – now? 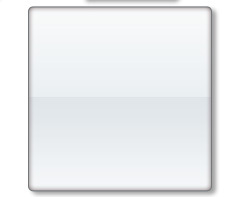 And finally … a powerfully simple (almost sneaky) technique to discover your life's mission! And finally … Why this simple phrase flips the switch inside you - empowering you to see the vast opportunities for success, wealth and abundance all around – don't miss this! But the fun is only just beginning! This product description doesn't begin to scratch the surface of all the astonishing money attracting insights you'll gain by listening and experiencing each session rich with practical and spiritual truth. And that's not all – I believe in over-delivering, in giving – heck, it's even one of my secrets of making money, and so I can't stop there with just these six CDs. That's why I'm also including these awesome bonuses to fast-track you to your wealthy place! These important lessons help me explain the Secret of Attracting Money; how it works – and what you must do to begin attracting more – now! All this, and so much more! I sat down for an interview with Peter Wink, formerly my V.P. of Marketing for Hypnotic Marketing, Inc. for a quick, fun session where he asked questions about the Secret of Attracting Money audio program. Peter left no stone unturned – probing me for how I raised myself up from homelessness to the heights of achievement I enjoy today. We held nothing back. This interview is almost a mastermind session in of itself! Listening to this jam-packed session will bring to mind many of the ideas, insights and concepts covered in the program. Think of it as a helpful memory jog, enabling you to easily internalize this mind expanding, moneymaking course. How to have, do or be anything you want in life. This powerful expanded teaching on the four phases of your awakening process was recorded LIVE in San Diego at one of my intensely personal and powerful Miracles Weekend gatherings. And finally, stick around for the bonus footage after the credits roll and I'll tip the single favorite question of your mind and how it can charge you with creative money attracting energy! I'm excited about releasing this video, and I'm confident you'll be enriched and blessed by all I share – see you on the inside! Oh by the way, before I forget, I've got one more SURPRISE bonus tucked up my sleeve I'll tell you all about later. You get all this, the Secret to Attracting Money on six audio CDs, plus the Bonus Gifts consisting of two audio CDs, and one LIVE DVD presentation along with a Surprise Bonus, as yet unrevealed, for the low, low price of only: $119.95! (Plus a nominal S/H charge) – Shipped, straight to your door! For less than a night on the town you can possess the secrets of owning an empire! I won't even ask you to make your final decision now – test-drive The Secret of Attracting Money for 60-days – THEN decide! That's right, take a full 60-days to decide if it's right for you. 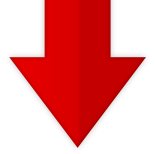 Actually USE it, go ahead, I won't mind – see for yourself that these ancient and modern secrets really work – attracting more money than ever before. Then and ONLY then, make your final decision. You must be absolutely convinced The Secret to Attracting Money will repay you many times over – because if you're not 100% delighted with the program, simply return it within 60-days for a full and complete refund. That's my solemn guarantee to YOU! As I said, I won't ask you to make a decision about keeping these CDs today – but I will ask for a commitment. The way I see it, you have two diverging paths before you. You can choose to ACT on this opportunity, and if you've been listening to my teachings, read my books or seen me on TV, you'll know that I believe the universe likes speed. Money likes speed – so if this course is resonating with you in any way, if you're feeling that inspired nudge to go for it, that'd be my recommendation now. In short, you really could have, do or be anything you can dream – and so much more! I believe there's not really much of a choice to make. Come along with me, you're 100% protected with my 60-day guarantee – use the ORDER button to cast your vote for miracles. Click the order button and complete the form to begin YOUR journey toward prosperity and start attracting money now! Your success is on the way! 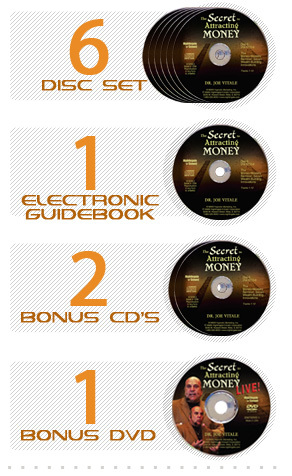 PS: I did promise one more SURPRISE BONUS – and this is it: In addition to the bonus interview, the Ten Most Important Lessons I've Learned about Business, and the Secret to Attracting Money LIVE on DVD – you ALSO GET this B-I-G 55-page Workbook for the program on CD ROM. In it you'll be delighted to discover that virtually every secret revealed in my program is highlighted – and it's FULLY INTERACTIVE! The Money Attractor Assessment quiz is ready for you to add your responses – and each session is outlined with exercises for you to complete so that you get a firm grasp on this material. It's your short-cut to successfully using the Secret to Attracting Money – and you can have it all when you [CLICK HERE] to order now! PPS: I can appreciate you might be a little skeptical. After all, if you're not attracting wealth on the level I believe possible, then you may not be able to see your very real potential for living an abundant happy life, free of money worries. Therefore, you've got to ask yourself: What if Joe's right? What if you really could have, do or be anything your heart desires? What if, as I've maintained, that you could attract money effortlessly and easily and in amounts beyond all comprehension? Well, I believe you can. So why don't you [CLICK HERE] to order now, review my program, including all six audio CDs, the two bonus CDs and DVD – PLUS – the Interactive Workbook on CD ROM (all for just $119.95), for 60-days, and if you're not thrilled, return it for a complete, no questions asked refund. Do it now, money likes speed! YES Joe! I want to use the Law of Attraction to magnetically attract money in amounts beyond all comprehension – and I want to start right away. Please RUSH my copy of your remarkable program, The Secret of Attracting Money immediately! *International shipping is subject to an additional shipping and handling surcharge of $17.95.